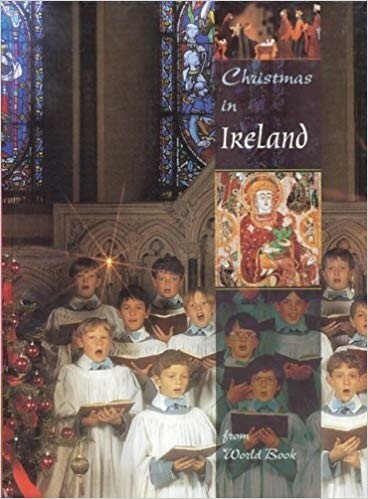 How is Christmas Celebrated in Ireland? DECORATING: The Irish enjoy decorating their homes for the holidays just like Americans do. They generally begin “decking the halls” in early December. Christmas Trees are central decorations in homes, yet the trees were introduced to Ireland (as an imported tradition from Germany) much more recently than in the U.S. Mistletoe, holly and ivy have been traditional Christmas decorations in Ireland since before the Christmas Tree was introduced, and in fact, even longer than the Irish have been celebrating Christmas! These items were part of the ancient Celtic rituals celebrating the Winter Solstice. It has long been believed that lots of berries on the holly meant good luck in the coming new year. CHRISTMAS EVE CUSTOMS: Many Irish families place a large candle in the front window of their homes. This is to symbolize guidance for Mary and Joseph before the birth of Christ. (And as a plus, it also serves to help Santa find his way to the home!) 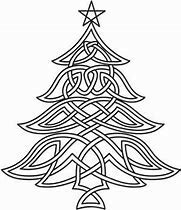 Another Irish Christmas Eve tradition is attending Midnight Mass, as most of those in Ireland are of the Catholic faith. Of course, attending Mass helps kids to sleep in a bit before waking up on Christmas morning to see the gifts Santa has delivered. STEPHEN’S DAY: Celebrated on December 26th, this is also an official public holiday in Ireland (named in honor of the first Christian martyr.) You know the words “on the feast of Stephen”in the Christmas carol “Good King Wenceslas”? It’s a reference to this tradition, as St. Stephen’s Day is a day of feasting! 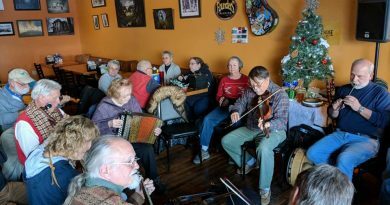 FEAST OF THE EPIPHANY: Irish Christmas traditions draw to a close on January 6thwith the Feast of the Epiphany, or “Little Christmas” as they call it in Ireland (Nollaig Bheag in Gaelic.) 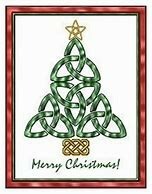 The twelve days of the Irish Christmas season mark the days between the birth of Christ and the arrival of the wise men or “magi”. The Day of the Epiphany is generally the last day of children’s winter school break in Ireland, and the last day for displaying holiday decorations. In fact, it’s considered bad luck to take down Christmas decorations before Little Christmas. 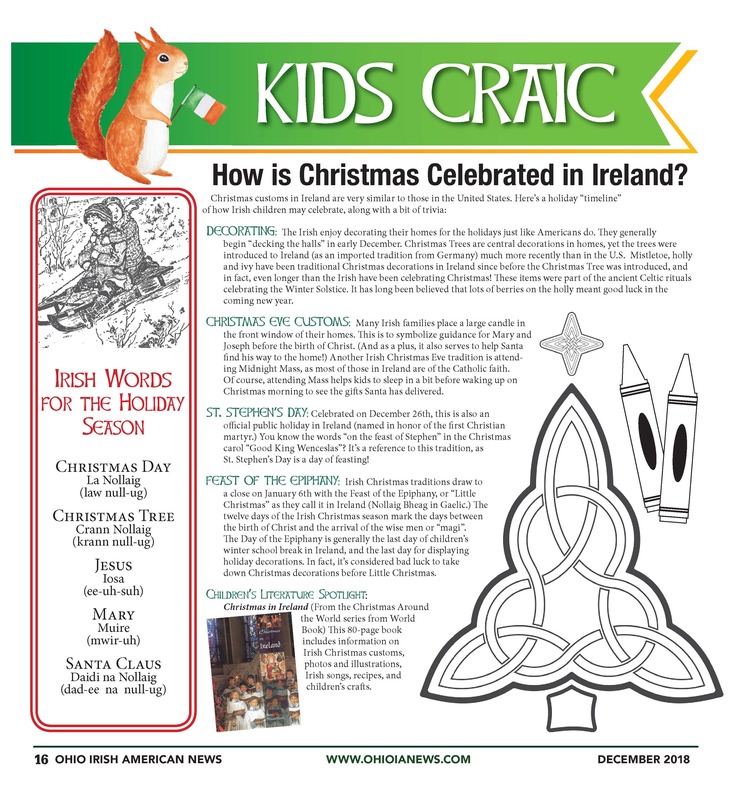 This 80-page book includes information on Irish Christmas customs, photos and illustrations, Irish songs, recipes, and children’s crafts.